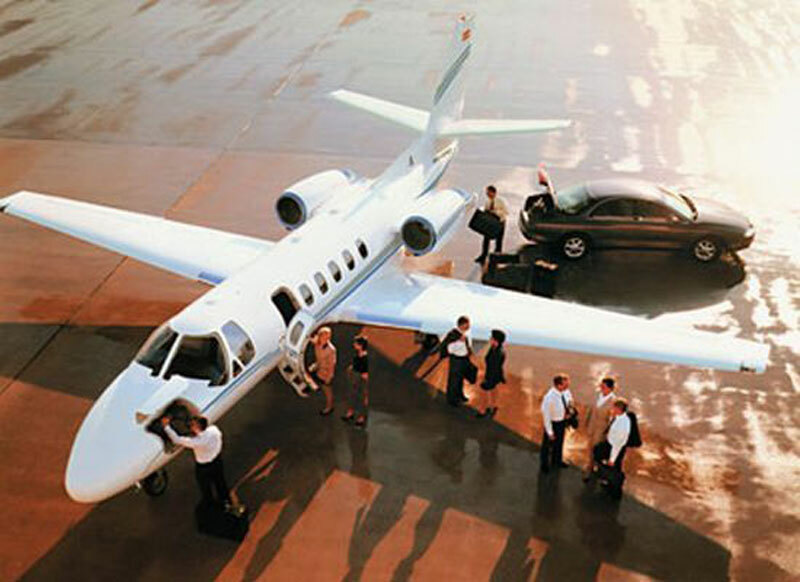 Paramount Business Jets specializes in arranging private jet charter flights to and from Frankfurt while offering the largest selection of high quality jets. Popular rental aircraft options include turbo props, very light jets, light jets, midsize jets, super midsize, and large jets such the Challenger 604, Falcon 2000 EX and Legacy 600. In addition, for a larger group of passengers we can position ultra long range aircraft such as Global Express, Global 5000, and Gulfstream G550 or VIP Airliners such as the Boeing Business Jet and the Airbus 319 Corporate Jet. There are more than 8 airports within a 50 mile radius of Frankfurt Airport (FRA) which serves as the main aviation gateway to Frankfurt. Other airports nearby Frankfurt include Frankfurt Egelsbach Airport (QEF), located 11 miles south of Downtown Frankfurt, and Hanau AAF Airport (ZNF), located 13 miles northeast of Downtown Frankfurt. Our goal is to provide you with best aircraft options at the best rates for all your private jet charter needs to and from Frankfurt, Germany. Divided into North and South regions by the Main River, Frankfurt am Main is the largest city in the German state of Hesse. Frankfurt am Main is the financial heart of Germany and possesses much culture, having many fine museums, theaters, and galleries. Sites of interests like the Main Tower, City Hall, St. Pauls Church, Goethe House, Museum Embankment, Frankfurt Dom, Senckenberg Museum of Natural History, Palm Garden, Roman Mountain, and Stadel Museum attract visitors from over the world. Some must see points of interest in this marvelous city are one of its many skyscrapers, the Main River, a famous opera house, the thriving theater district, the pedestrian shopping street, an endless supply of bars and dance clubs, and more than 50 museums (art, German, Jewish and natural history and more). With over 12 million visitors every year some events you might be interested in attending are the Spring Fair, Autumn Fair, and Book Fair.